Kasia Rettig’s bedroom-slash-home office was cluttered due to too much stuff and not enough storage. It was about as far from a relaxing sleep sanctuary as it gets! 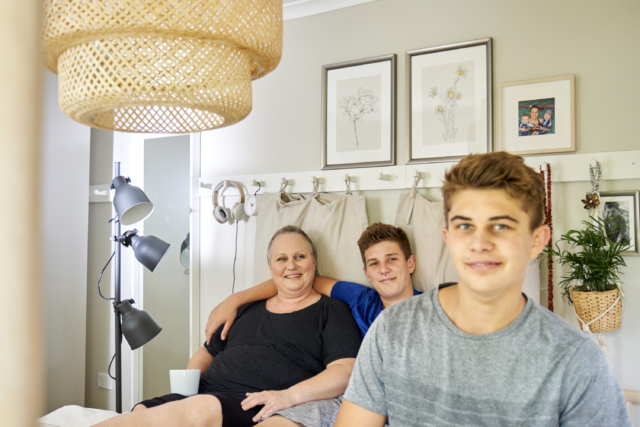 But all that changed when she was a winner in the recent IKEA + you competition, where the furniture giant redesigned the bedrooms of 10 lucky Australians. 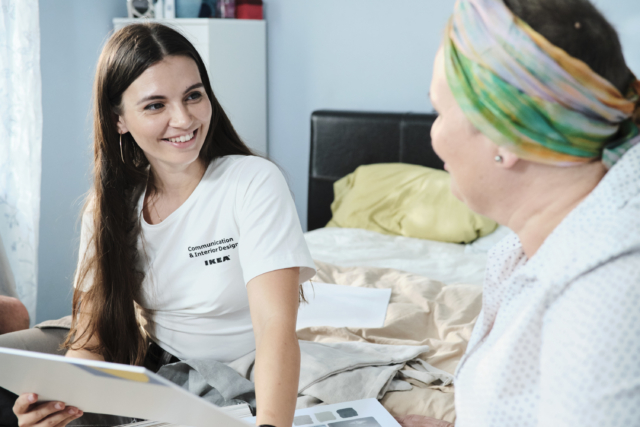 IKEA research has found that only one in five people are completely satisfied with their bedroom space but Kasia is definitely now one of them! 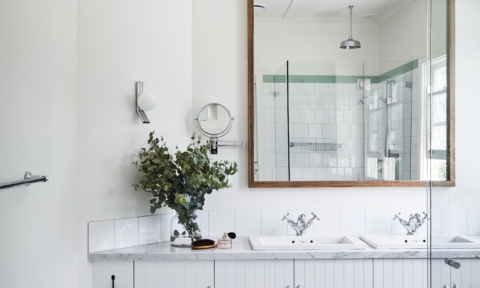 The Sydneysider is completely enamoured with her new multi-purpose space, following an aesthetic and functional overhaul. 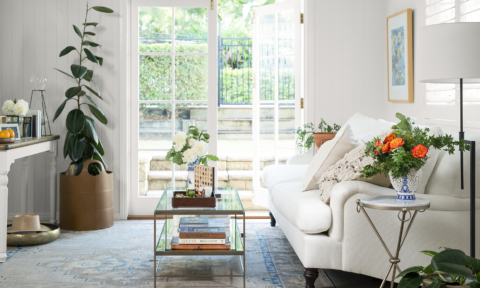 “I really hated my old bedroom, but I love spending time there now.” she says. 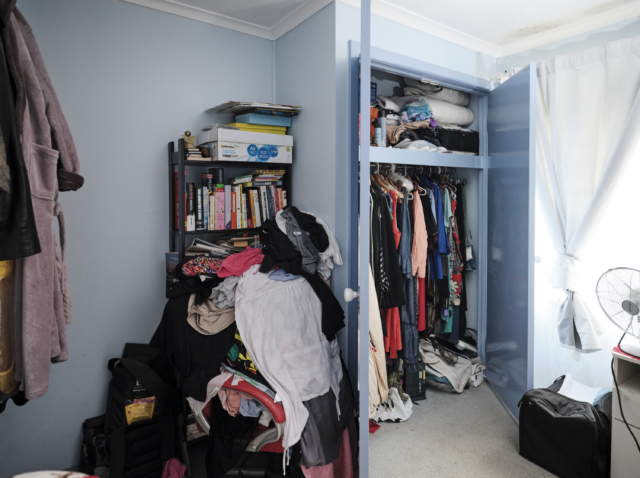 “My old room had ugly, absolutely disgusting light grey carpet. It would get dirty very easily, so I was constantly getting professional cleaners in to clean it. 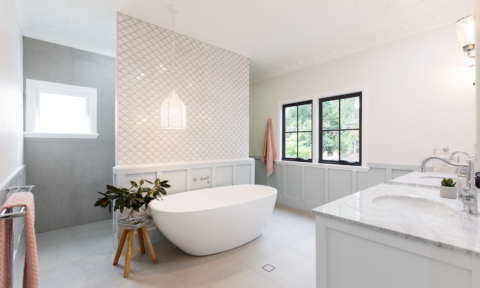 The old walls were painted blue which is one of my least favourite colours and it wasn’t a nice warm blue but rather a very cold one.” Kasia was the IKEA Marsden Park store winner and she worked with their interior designer Olya Read to create her dream bedroom. The process started with a site visit by Olya followed by an interview with Kasia where she outlined her chief frustrations with the space. 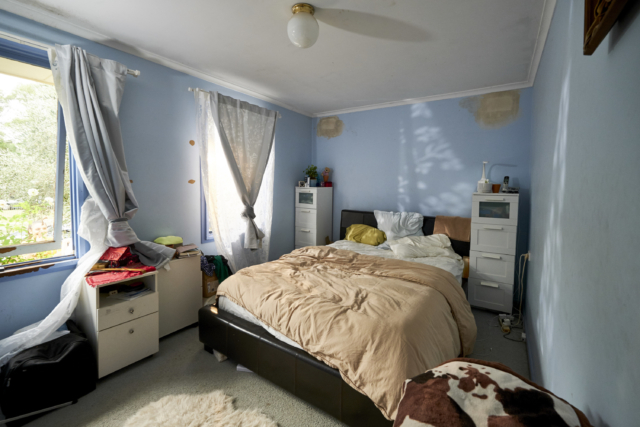 Aesthetic concerns aside, the multi-purpose room wasn’t very functional either – Kasia not only sleeps there but runs two small businesses out of it too! “The old room had a very dysfunctional design. It was very hard for me to work with all the filing cabinets and sets of drawers and the wardrobe couldn’t be easily accessed. 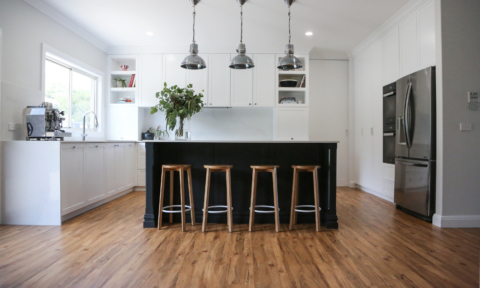 I had a lot of power cords all over the place too – it was constantly messy,” says Kasia. Perhaps the most ingenious of her ideas, Olya decided to re-orientate Kasia’s bed and turn the existing built-in wardrobe into a home office space. 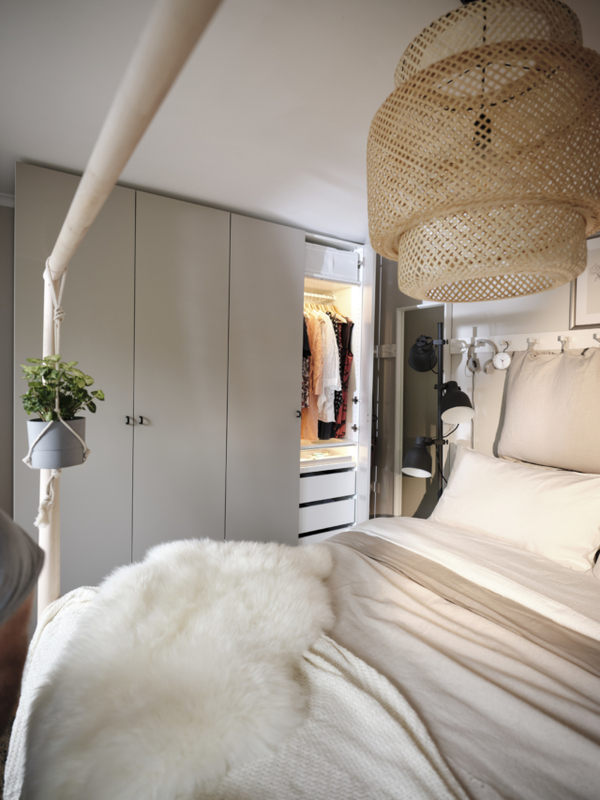 Then an entirely new customised wardrobe was added along the opposite wall, with the inside designed to suit Kasia’s needs and belongings perfectly. “Trying to keep a queen size bed desk, storage, wardrobe and storage for documents was hard. I decided to turn the old built-in wardrobe into an office so if it’s messy inside Kasia can just shut the doors.” A desk, stool, peg boards, organisers and lighting can now be found inside the former wardrobe. 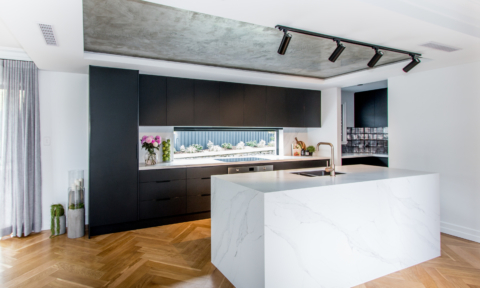 Delighted Kasia said: “When they came back to me with the design, I was absolutely shocked with how wonderful it was and how gifted the IKEA staff are at being able to prepare a plan and moodboard after just one interview. It was so perfect that I sat back and let them do whatever they needed to do. 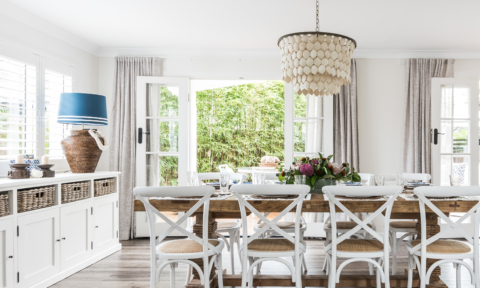 I don’t have words to describe how thrilled I am.” The room came together in just two weeks, the benefit of flat-pack furniture meaning everything was ready to go. 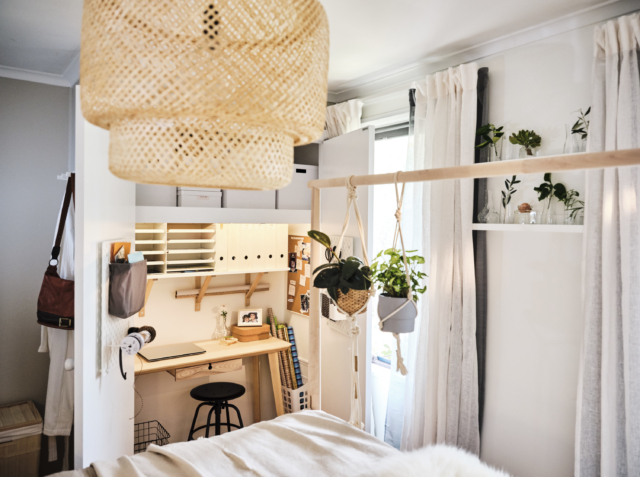 Other clever solutions include a long set of hooks above the bed and a compact bedside table that makes cable management a breeze. 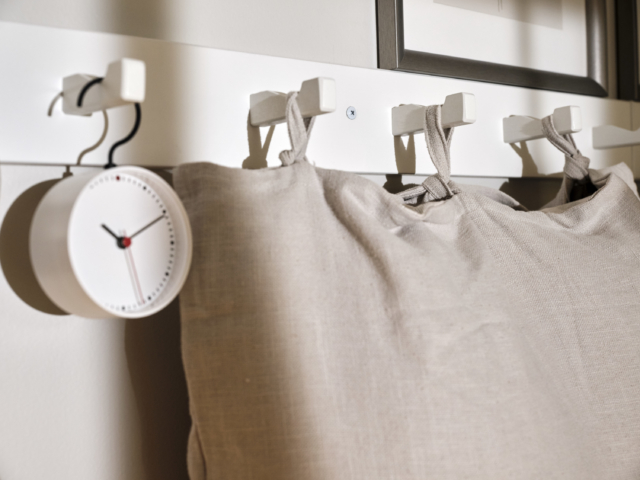 “Those hooks are really multi-purpose. 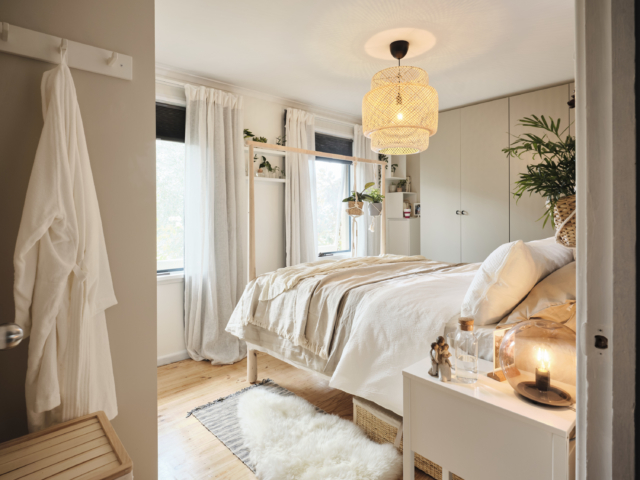 In Kasia’s room they act as a headboard with European pillows hooked onto them, but they double as a bedside table too because they are a place for her to hang headphones, a clock, throw, plants and prints,” says Olya. 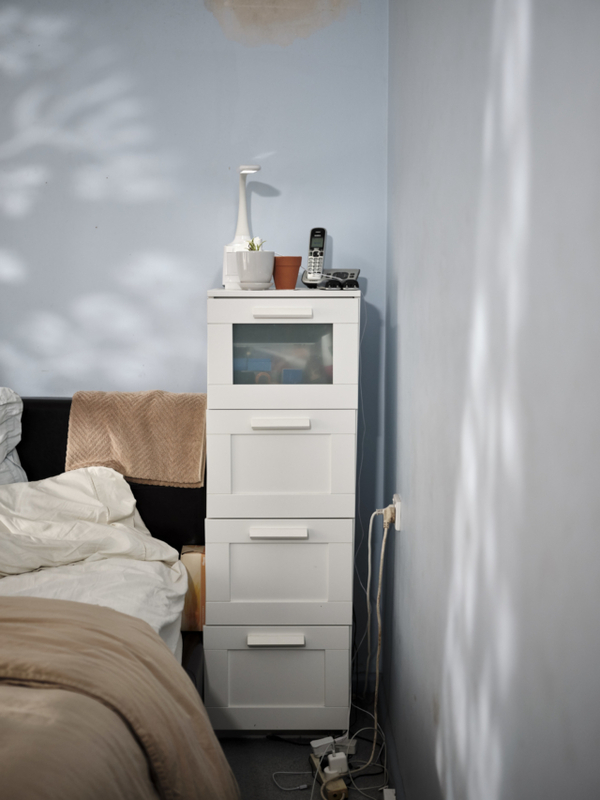 The addition of the NORDLI bedside was another clever choice. “Cables were one of Kasia’s chief frustrations. That bedside has built-in cable management. 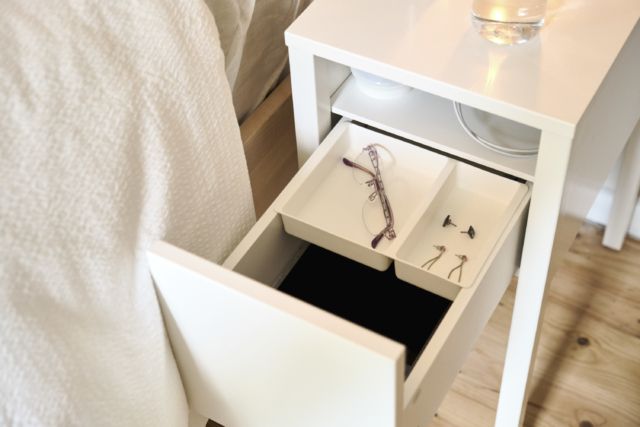 The legs act as conduits and you can run cables through them while storing a power board inside the bedside table. That way you can attach phone cords and more without seeing them,” says Olya.